SENDA carries out wholesale trade of fish meal produced in Morocco and Mauritania. 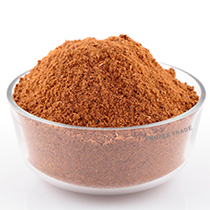 Fish meal is widely used as a protein component in pig breeding, poultry breeding and aquaculture. This product is used as a source of amino acids and protein of animal origin. It is advisable to apply fish meal to accelerate the growth of animals and improve their reproductive function. The presence of phosphorus, calcium, vitamins D, E and a complex of B vitamins helps to improve livestock health. Our fish meal conforms to the quality standards and we hold all the required certificates. If necessary, we are ready to provide you with samples of fish meal that will allow you to decide on the future purchase. To get a sample, please contact this area manager.